VAUXHALL/OPEL/HOLDEN ASTRA BARINA CORSA SIGNUM VECTRA TIGRA ZAFIRA 1.8 2003 on HEAD GASKET SET, TEN CYLINDER HEAD BOLTS, WATER PUMP & TIMING BELT KIT. 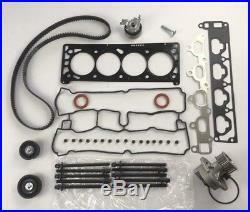 HEAD GASKET SET, TEN HEAD BOLTS, WATER PUMP, TIMING BELT KIT. ENGINE VALVES ARE ALSO AVAILABLE PLEASE SEE ITEMS. 130760422245 EXHAUST & 130760414678 INLET. 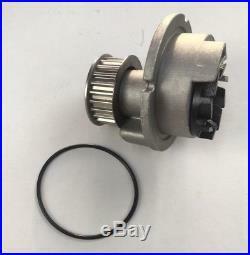 FOR HOLDEN/OPEL/VAUXHALL 1.8 1796cc 16V DOHC ECOTEC ENGINES. 120 / 122 / 125 bHP ENGINES ONLY. NOT FOR 140 BHP ENGINES. 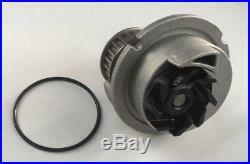 ON ASTRA & ZAFIRA MODELS ONLY - THE BELT KIT WAS CHANGED IN 2002 - THIS SET IS FOR ENGINE CODES FROM 02HL5118 20041691. VECTRA 1.8 eng Z18XE 2002-06. VECTRA 1.8 DUAL FUEL engs Z18XE, X18XEL 2002-06 Club, Design, Elegance, Elite, Life, LS, SRi VECTRA 1.8 eng Z18XEL 2002-06 Club, Design, Elegance, Elite, Exclusive, Expression, Life, LS, SRi, SXi. ZAFIRA 1.8 eng Z18XE 2003-05 Club, Comfort, Elegance, Design, Life, SRi ZAFIRA 1.8 DUAL FUEL eng z18XE 2003-05. Club, Comfort, Elegance, Life LPG ZAFIRA 1.8 DUAL FUEL eng Z18XE 2003 on Club, Life, Design, LPG. SAAB 9-3 1.8 122 bhp eng Z18XE 2004-10. CUSTOMERS PLEASE LEAVE A CONTACT TELEPHONE NUMBER ON PAYING. VAUXHALL ASTRA CORSA VECTRA TIGRA ZAFIRA 1.8 1998 on HEAD GASKETS PLUS TEN CYLINDER HEAD STRETCH BOLTS AND SIXTEEN VALVES. Deadline for same day dispatch. Monday to Thursday 3.00pm. 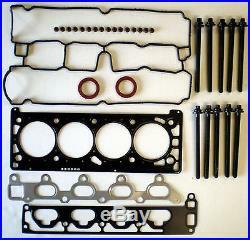 HEAD GASKET SET AND BOLTS KIA SEDONA CAR.. HEAD GASKET SET BOLTS PAJERO SHOGUN MONT.. HEAD GASKET SET BOLTS 16 VALVES CLIO KAN.. HEAD GASKET SET SHOGUN PAJERO MONTERO DE..
HEAD GASKET SET AND BOLTS FITS FIAT PUNT.. The item "HEAD GASKET SET BOLTS WATER PUMP TIMING BELT KIT Z18XE 1.8 OPEL VAUXHALL HOLDEN" is in sale since Thursday, November 9, 2017. This item is in the category "Vehicle Parts & Accessories\Car Parts\Engines & Engine Parts\Gaskets & Seals". The seller is "shirley9293" and is located in Liversedge. This item can be shipped worldwide.